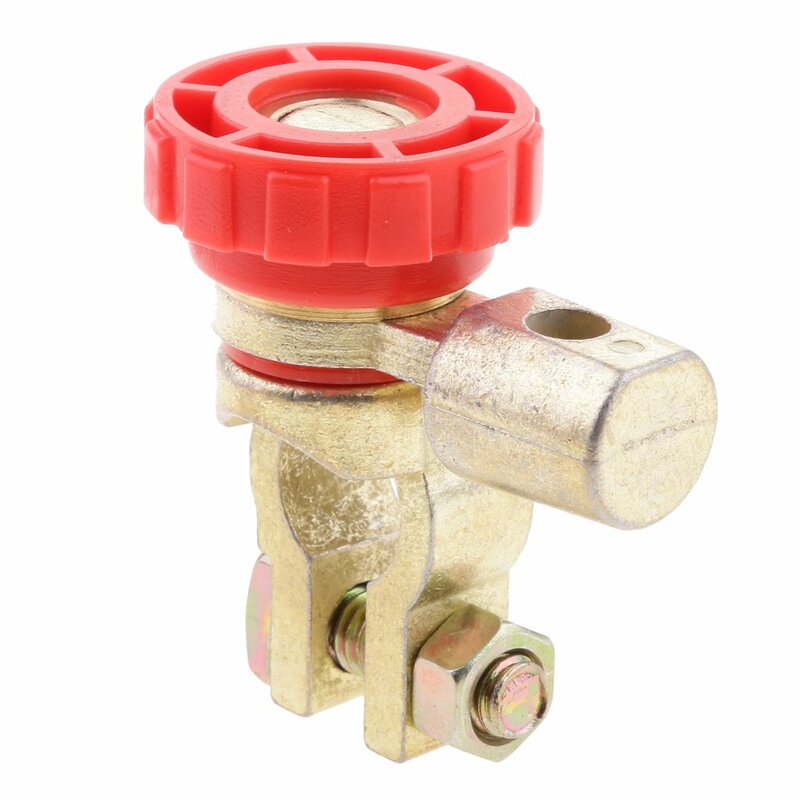 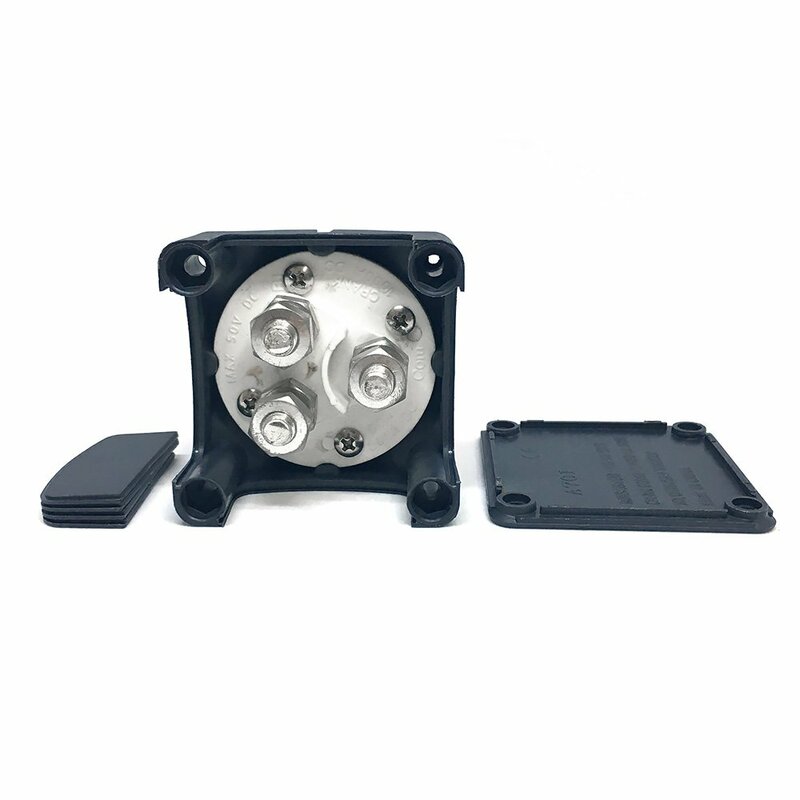 Durable: Made of ABS plastic housing, equiped with 4 sets of bolts, durable, waterproof, non-corrosive, resistant to harsh weather conditions. 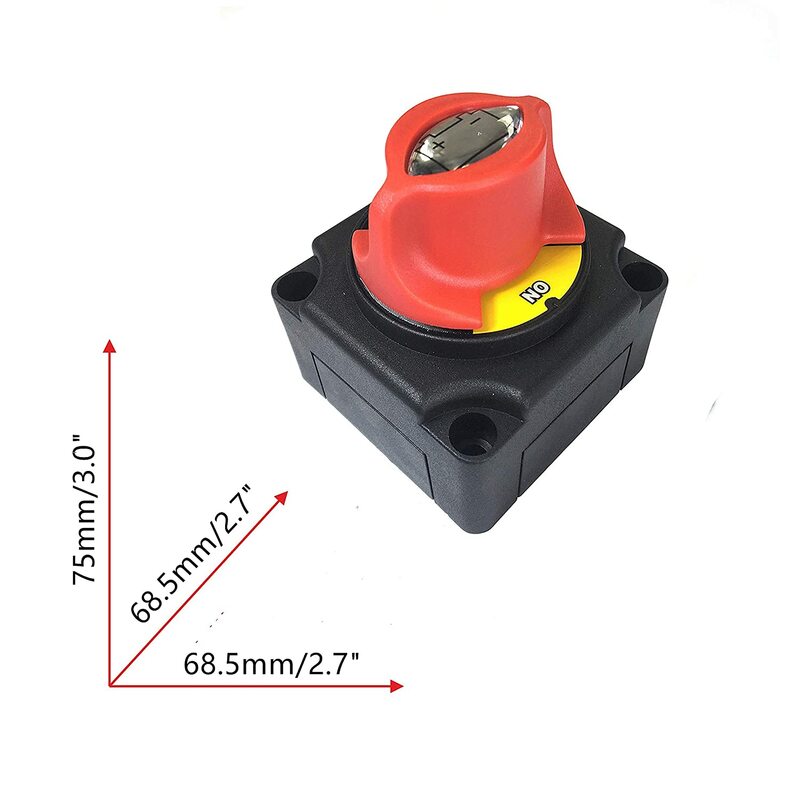 Extra Heavy Duty: Rated at 1250 Amps momentary, 200 Amps continuous 12V DC. 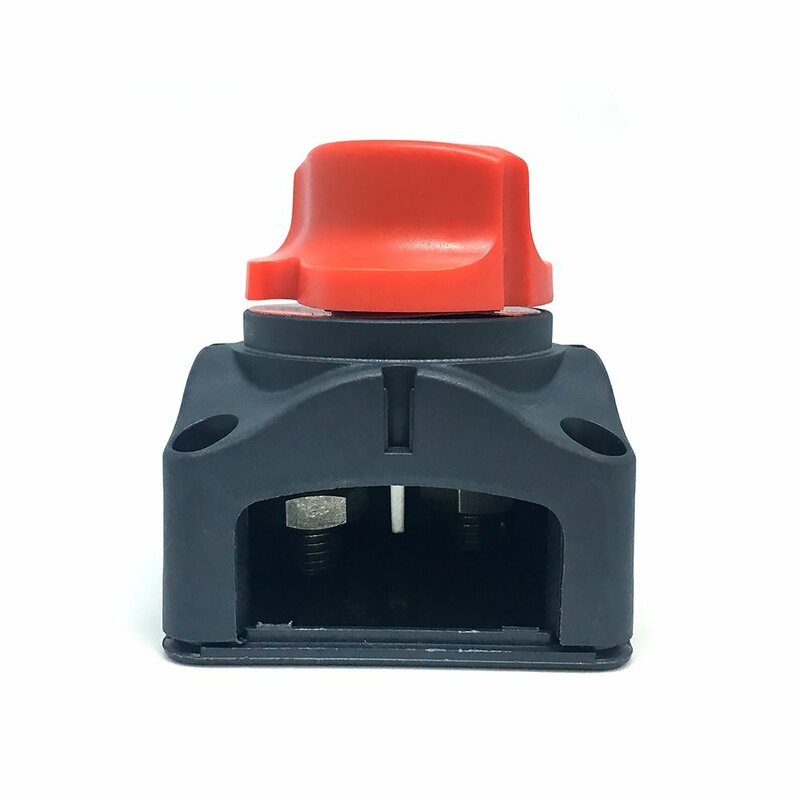 2-Position: ON and OFF positions. 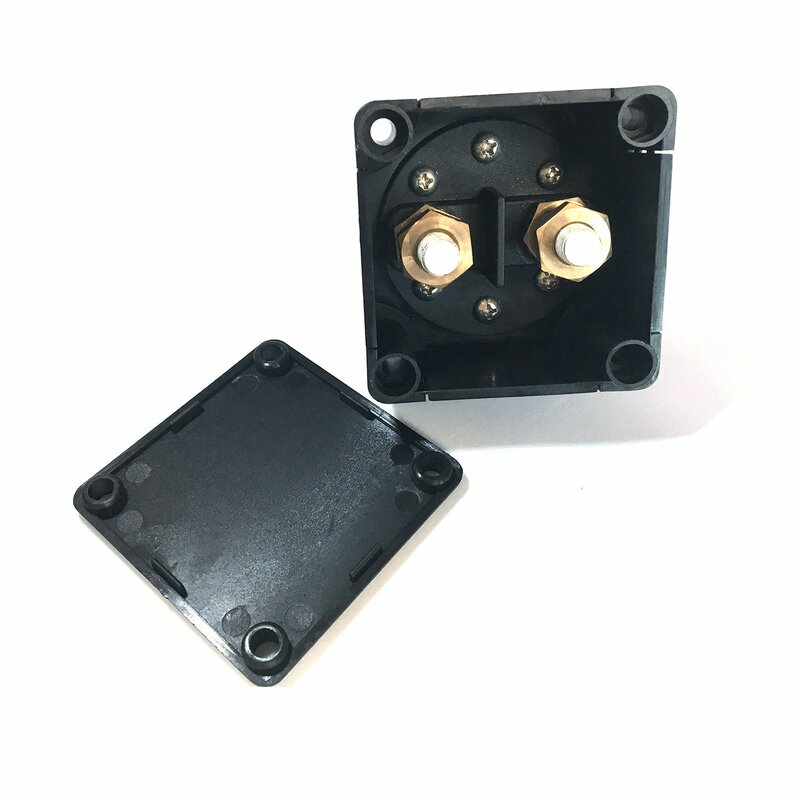 Compatible: easy to install, it could stand alone, or locked together with other switches to isolate and secure the electrical system with 12V up to 48V systems. 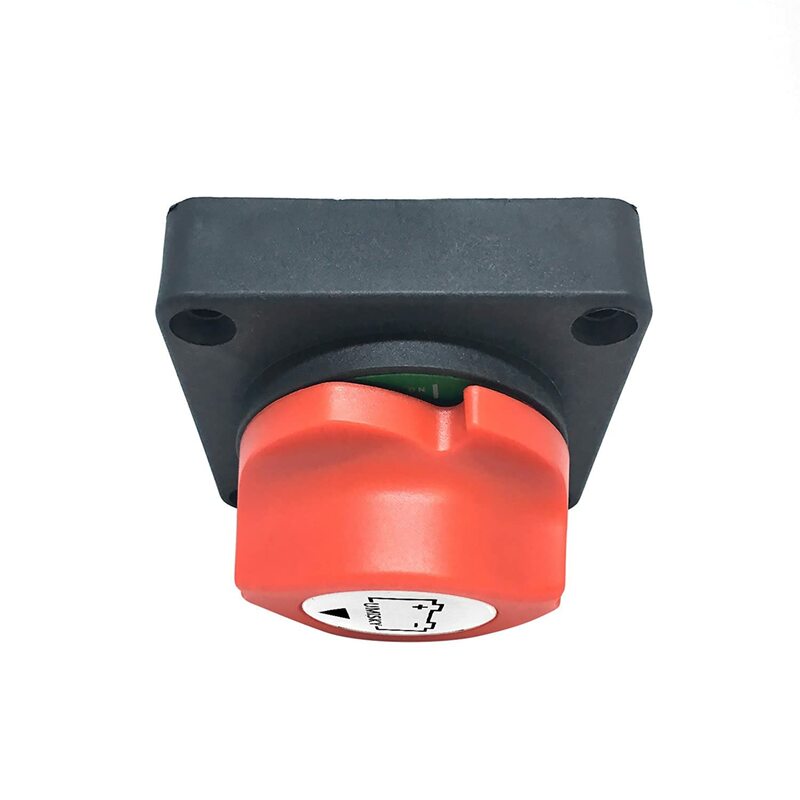 Application: This item is widely used in all kinds of RV ,boats, , winch power cable, both apply to the inside or the outside electrical equipment’s switch ,such as flashing light, chassis light, fog light, dome light and so on. 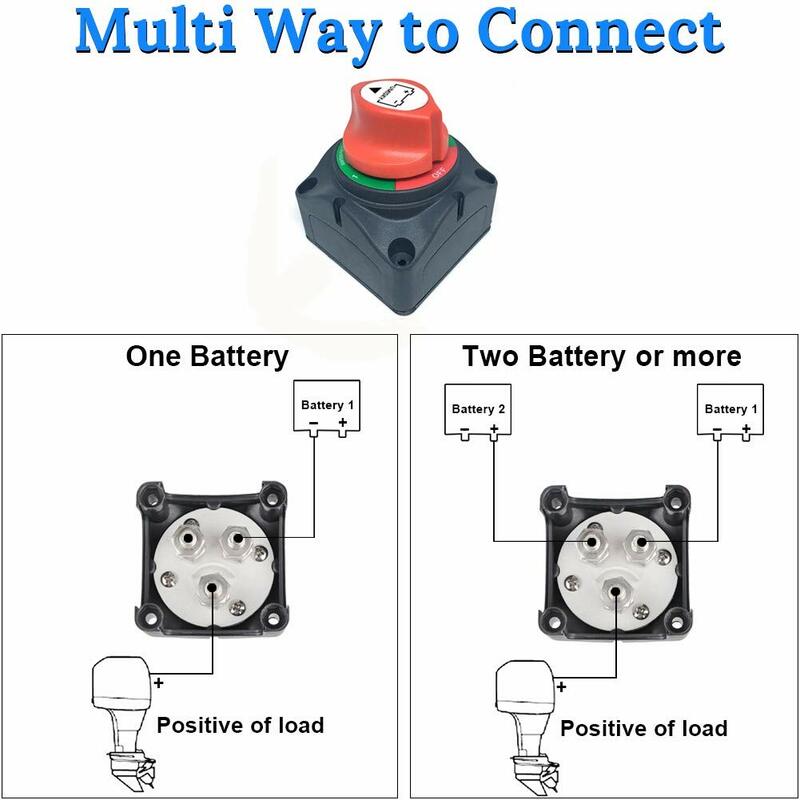 Disconnects Safely: Marine battery disconnect switch can disconnects the battery safely, to eliminate any power draw from the battery when vehicle or boat is not in use. 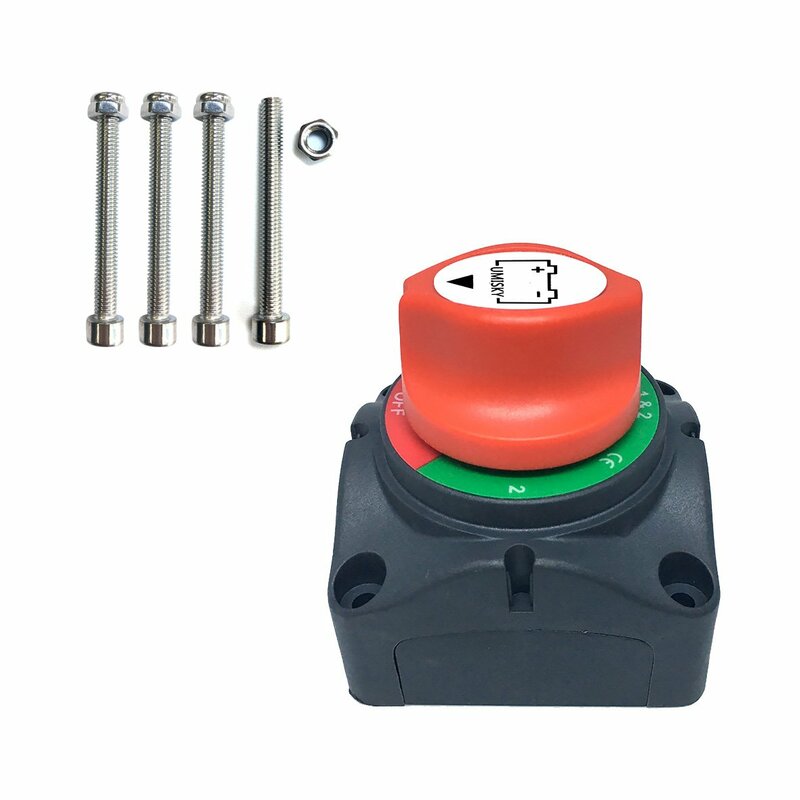 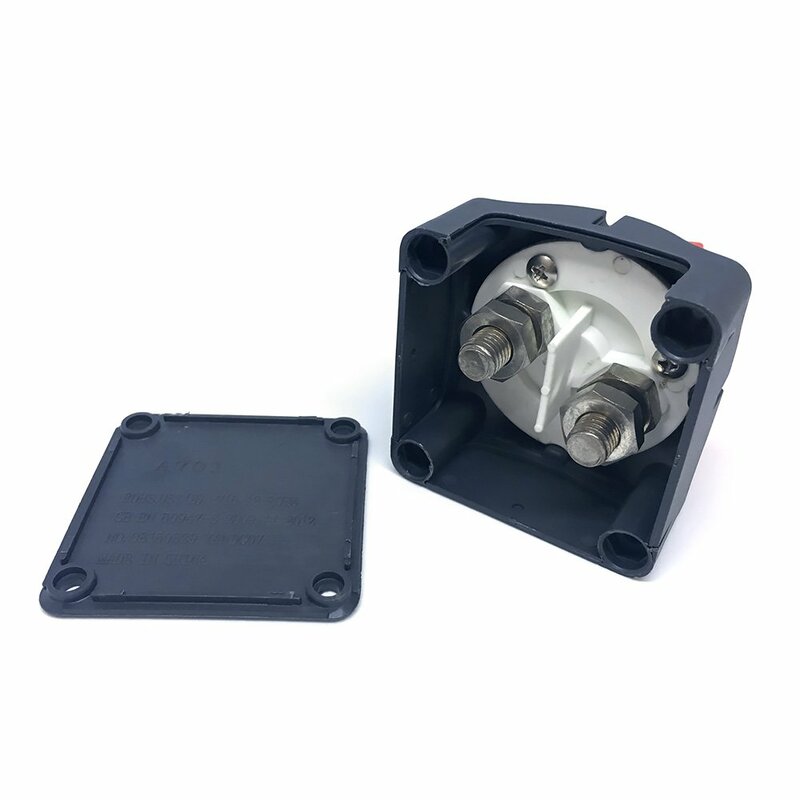 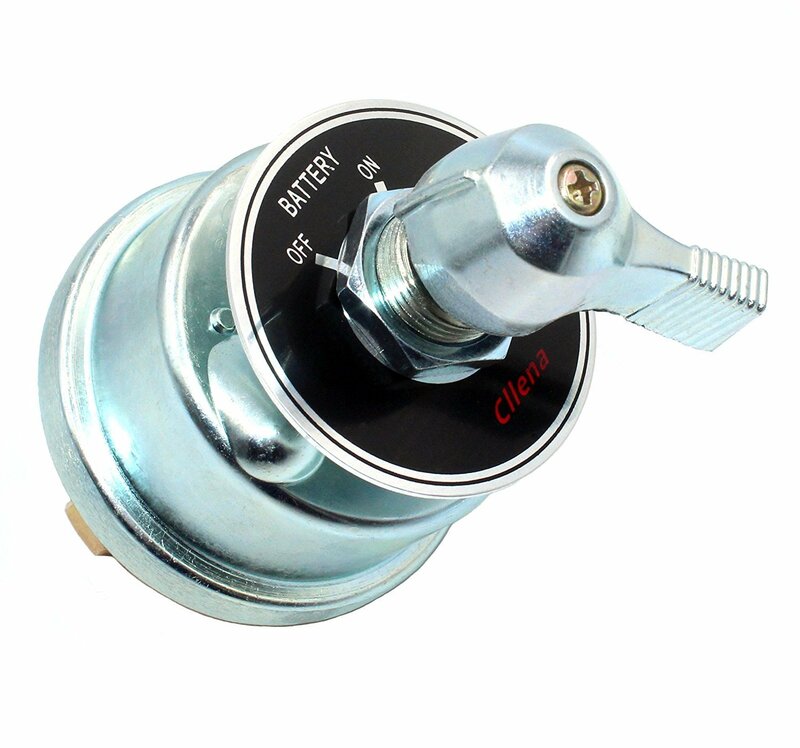 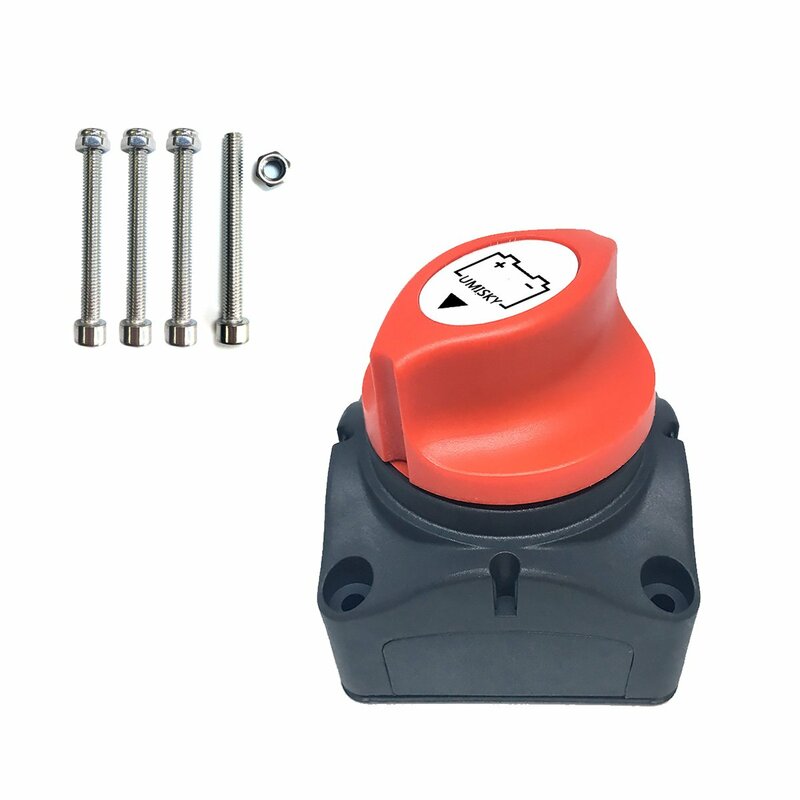 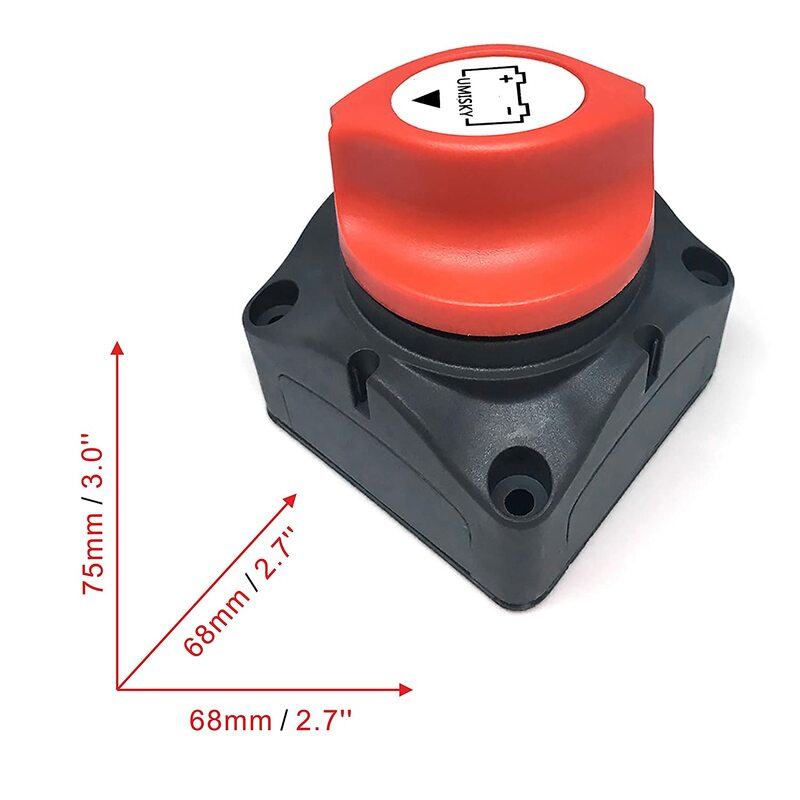 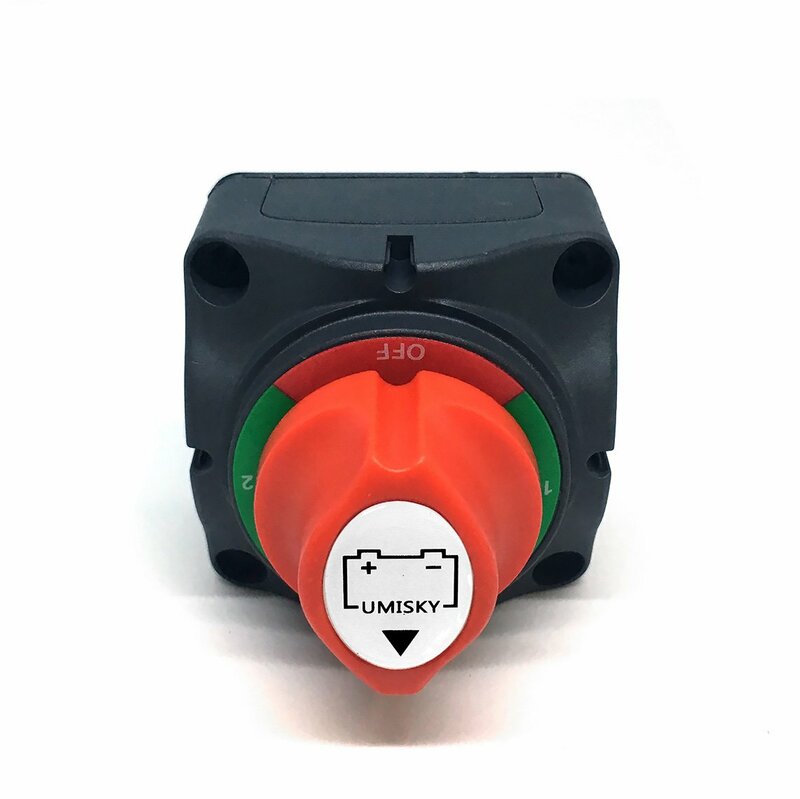 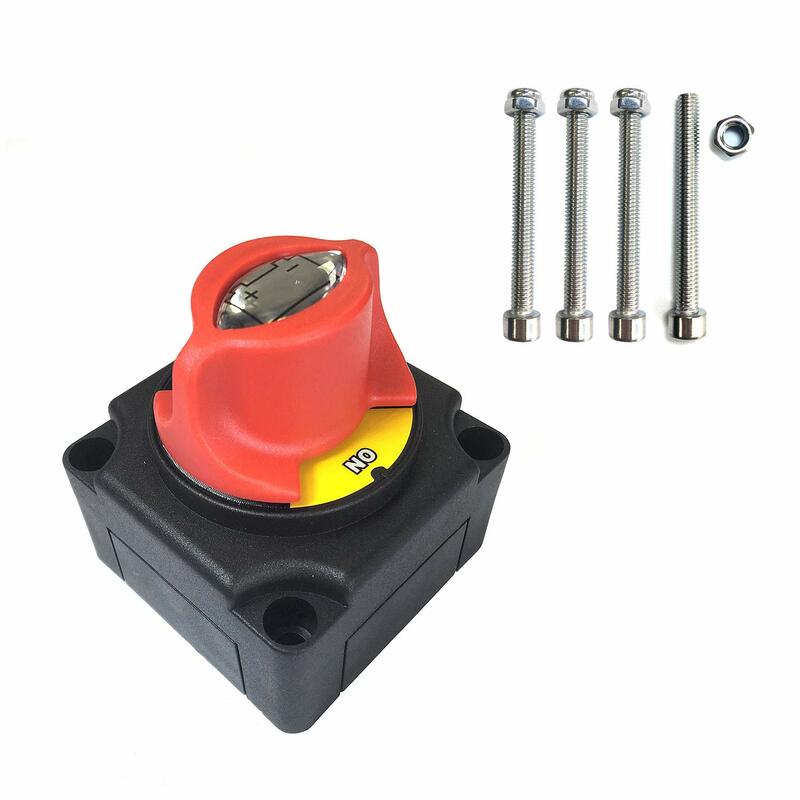 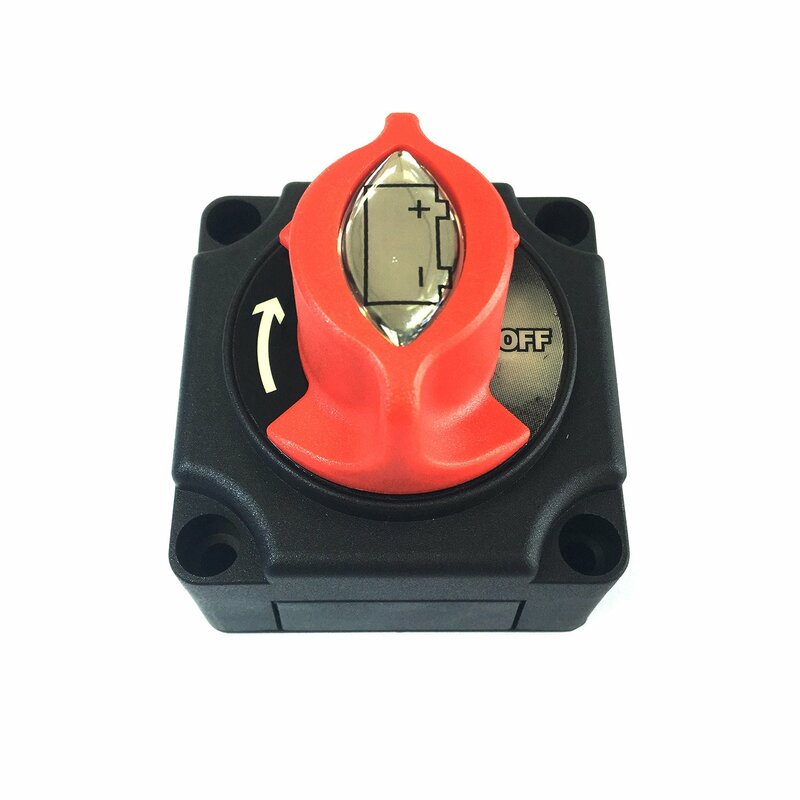 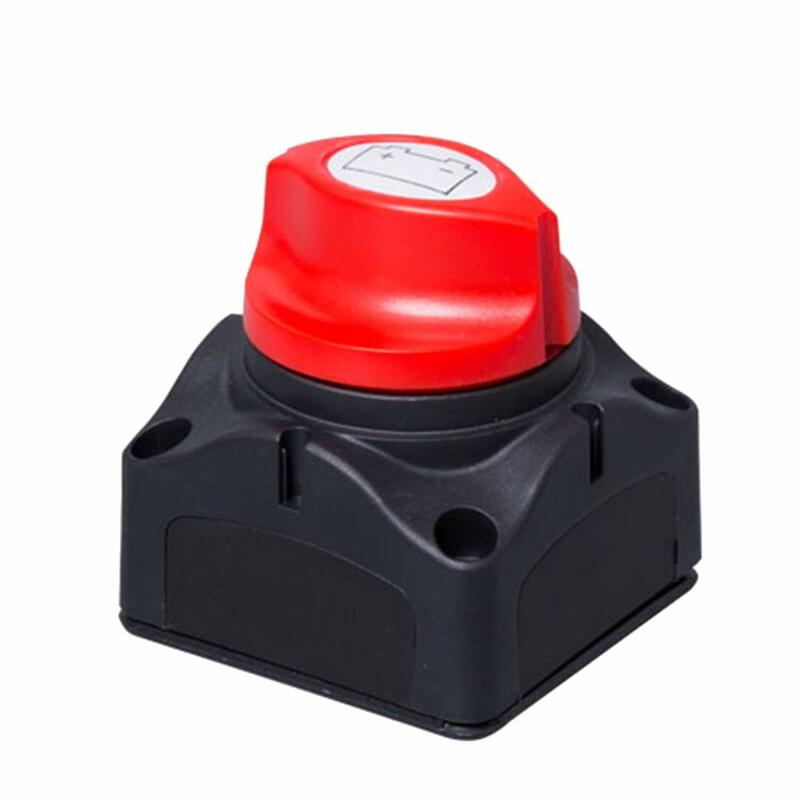 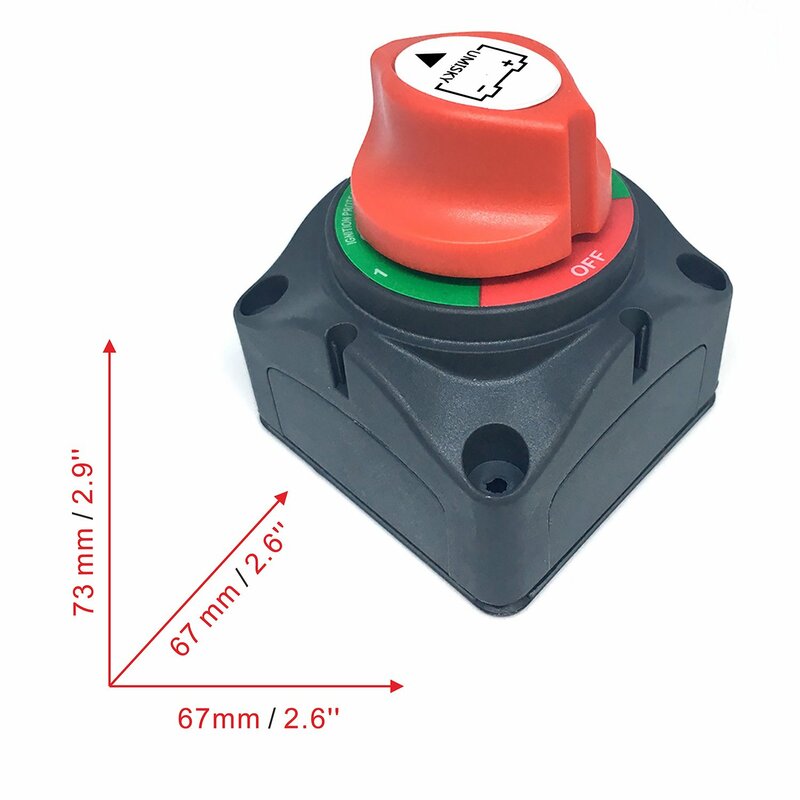 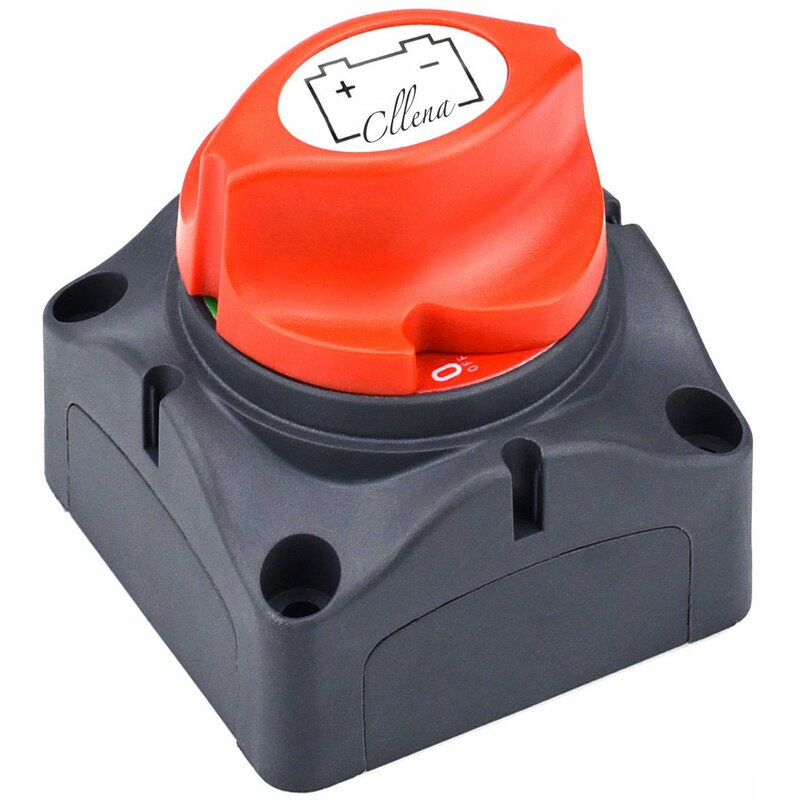 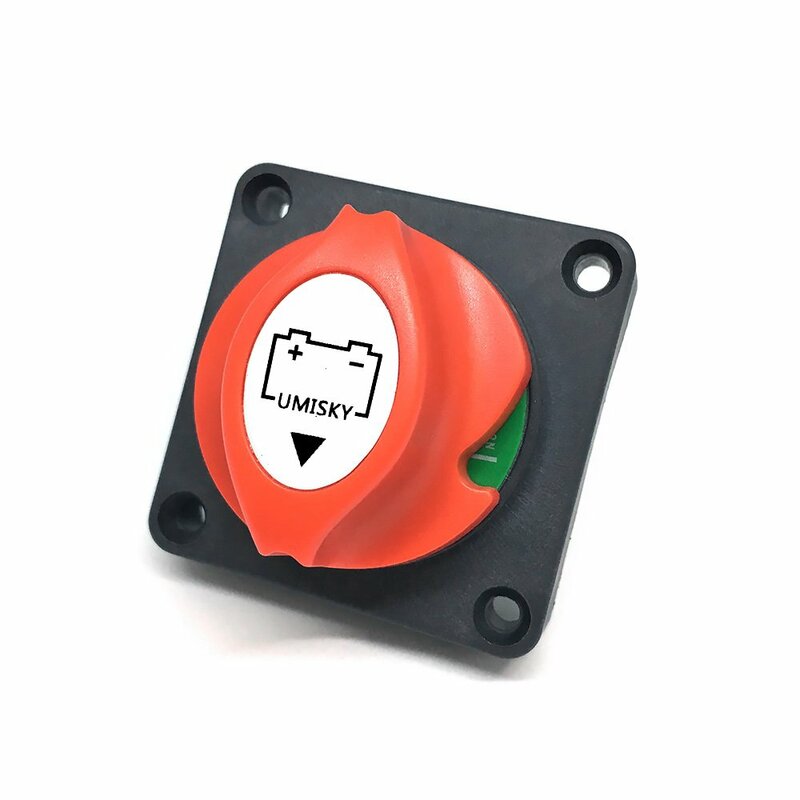 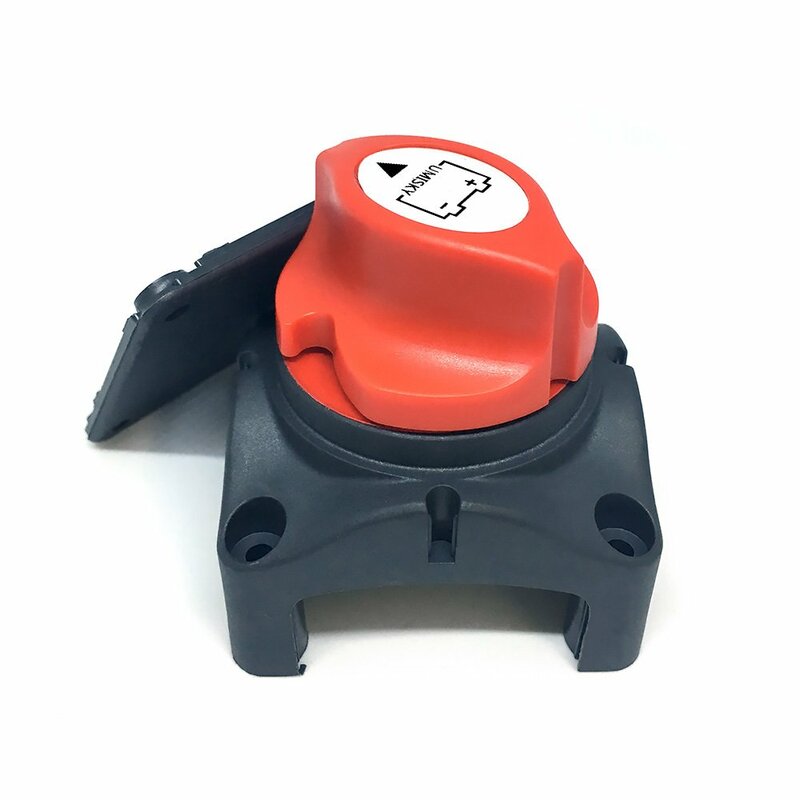 This disconnect switch can be used for racing to isolate and secure the electrical system, and it disconnects the battery safely, to eliminate any power draw from the battery when vehicle or boat is not in use. 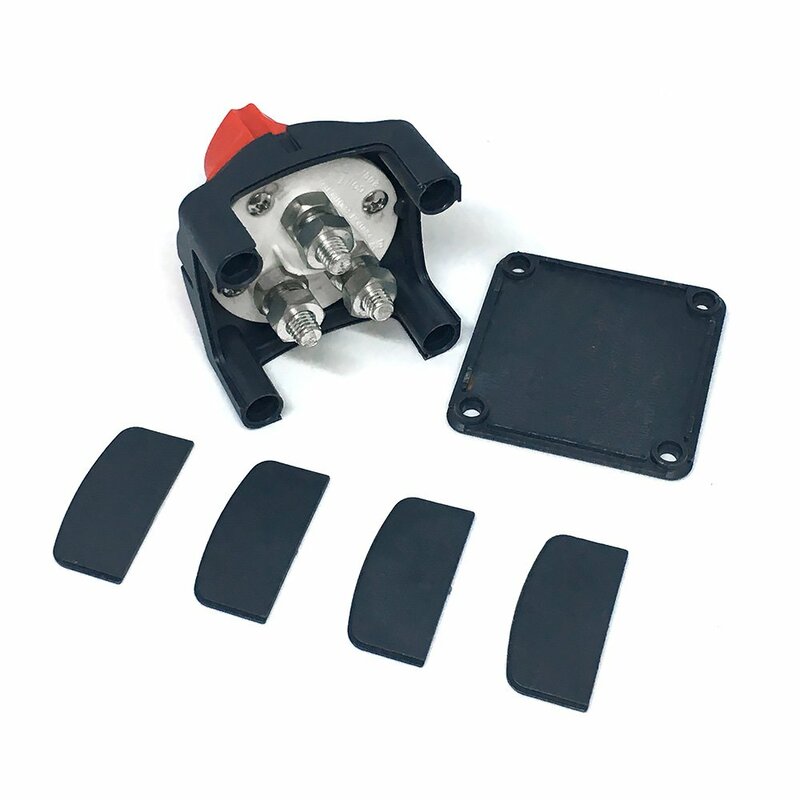 Its compact size, sleek modern appearance will looks great on your vehicles, and it's easy to install. 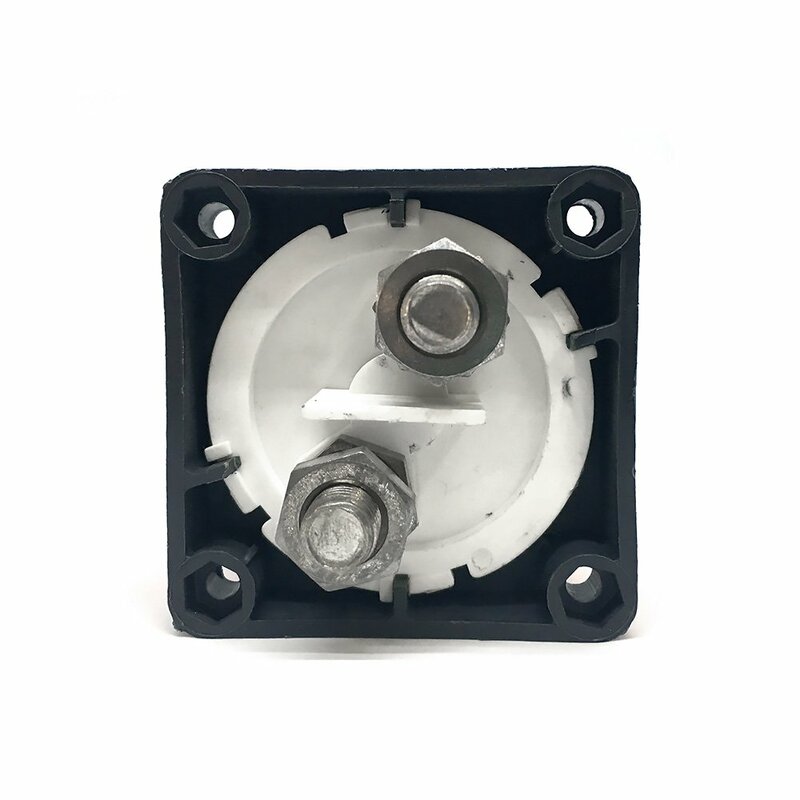 1, ABS plastic housing, durable made for safety use. 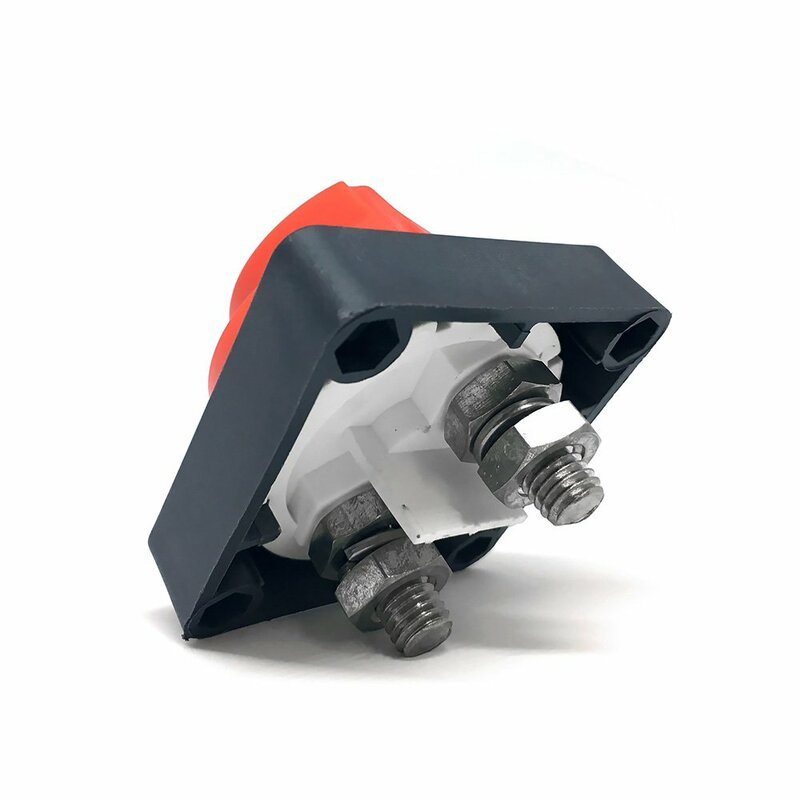 2, Rear cover insulates terminals against any short of circuits. 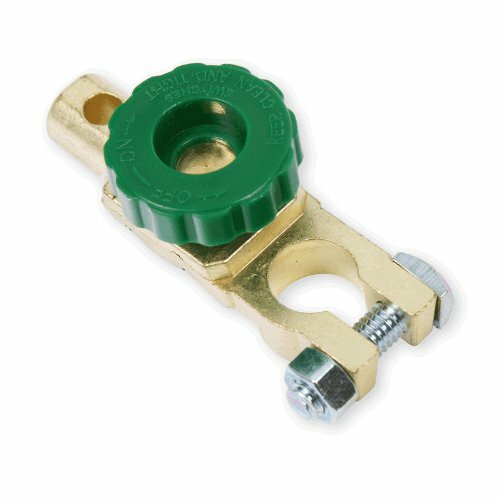 4, Copper terminal studs with nuts and washers. 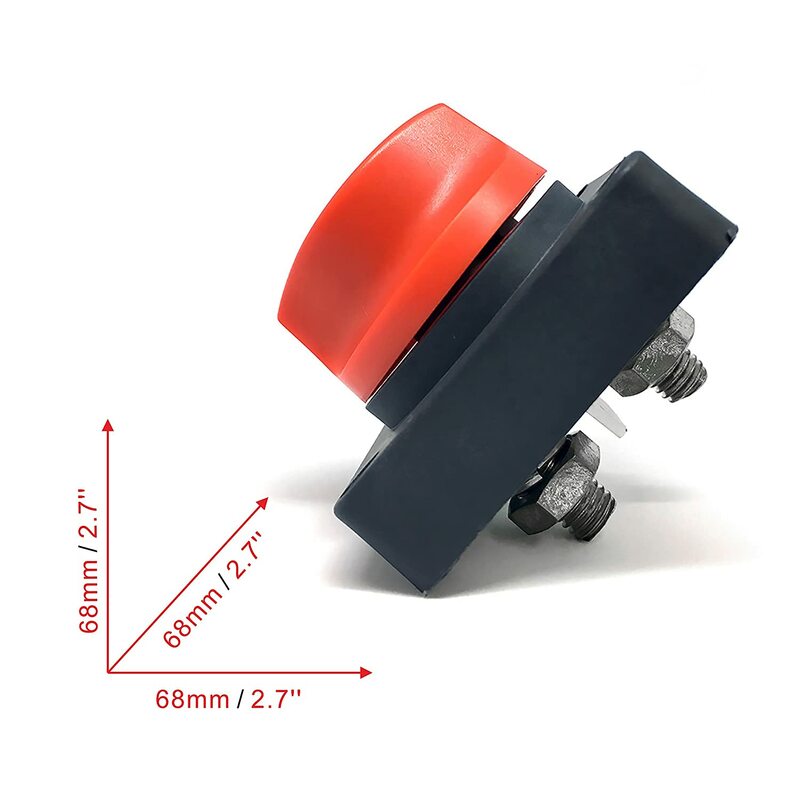 5, 4 mounting screw holes. 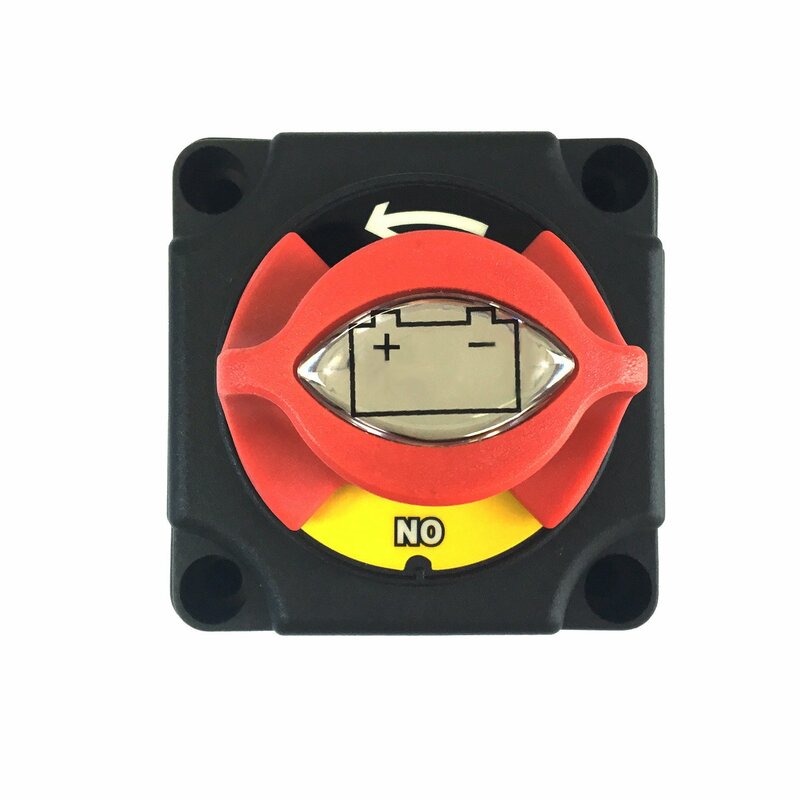 6, 275 A continuous at DC 12V, 455 A Intermittent at DC 12V, 1250 A momentary at DC 12V. 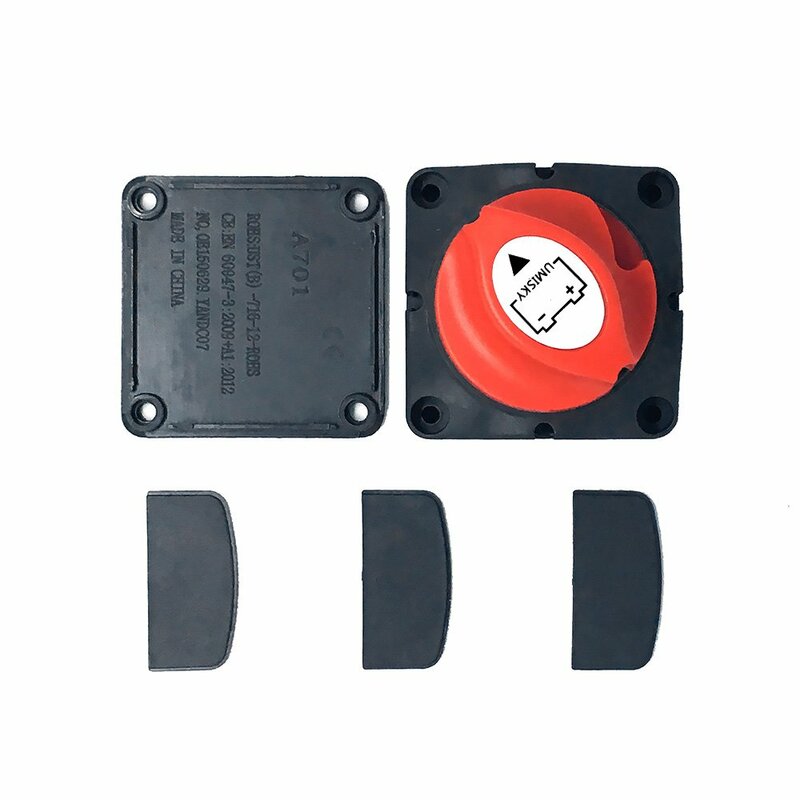 7, Used for DC 12 - 48V systems to isolate and secure the electrical system. 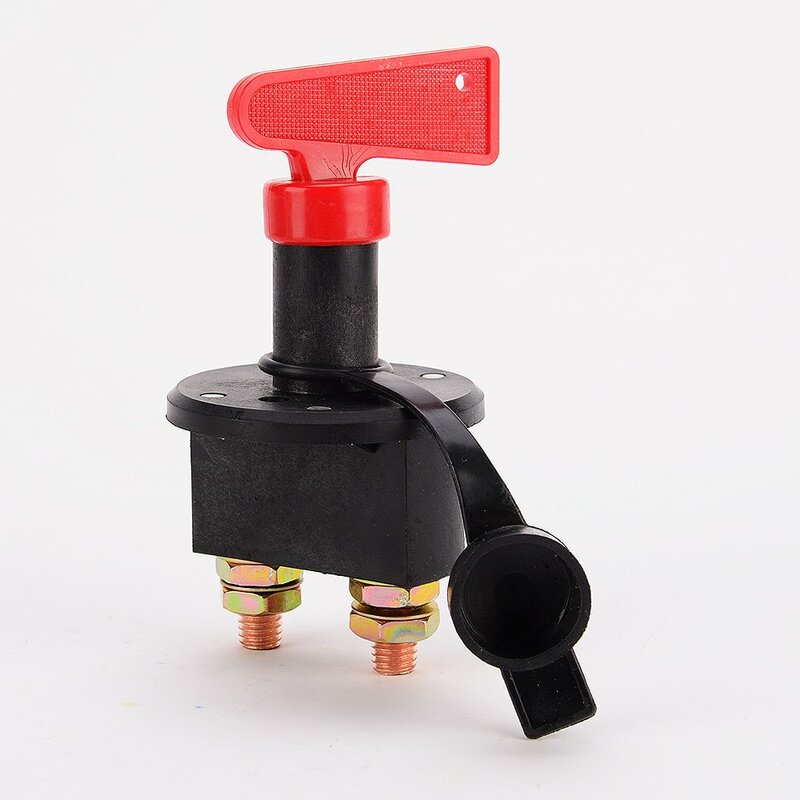 8, Can stand alone or be locked together with other switch. 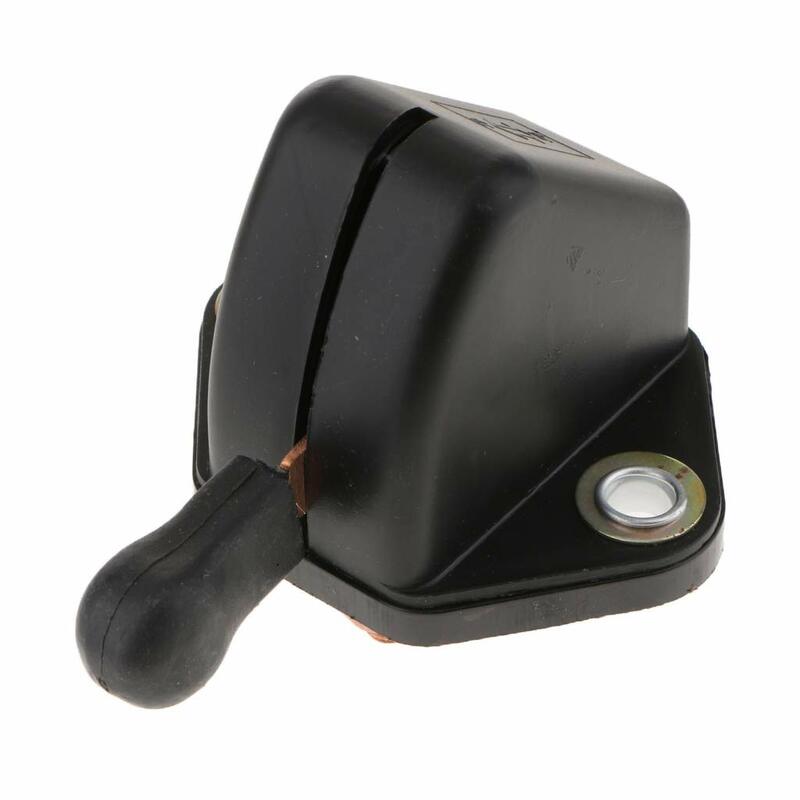 9, Eliminate any power draw from the battery when vehicle or boat is not in use. 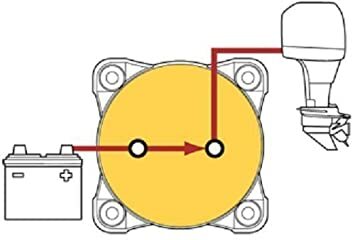 10, Disconnects the battery safely. 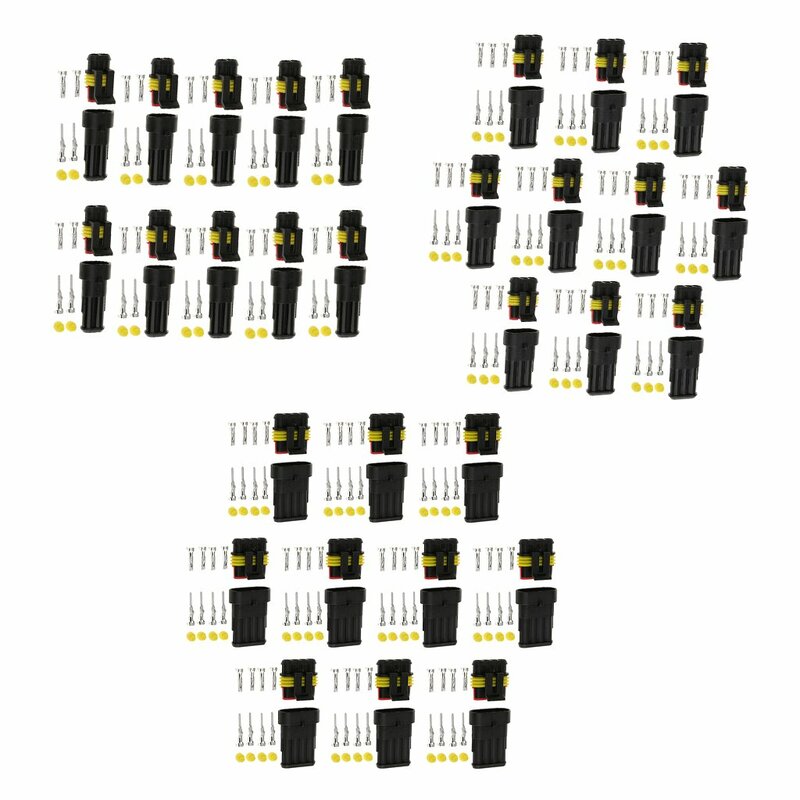 11, Universal used for Car, Vehicle, RV and Boat. 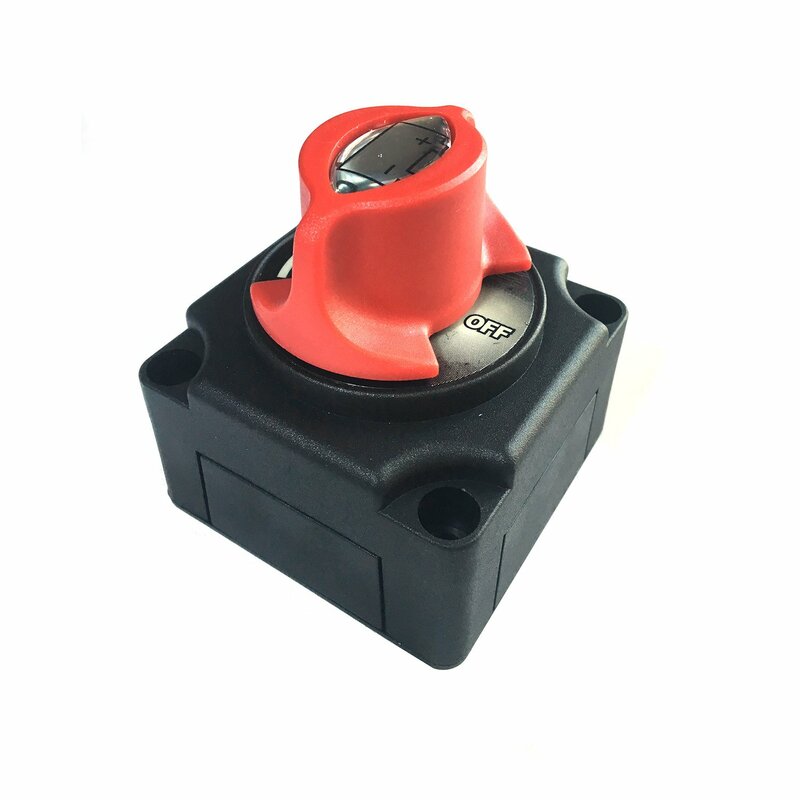 12, Used as electrical equipment switch. 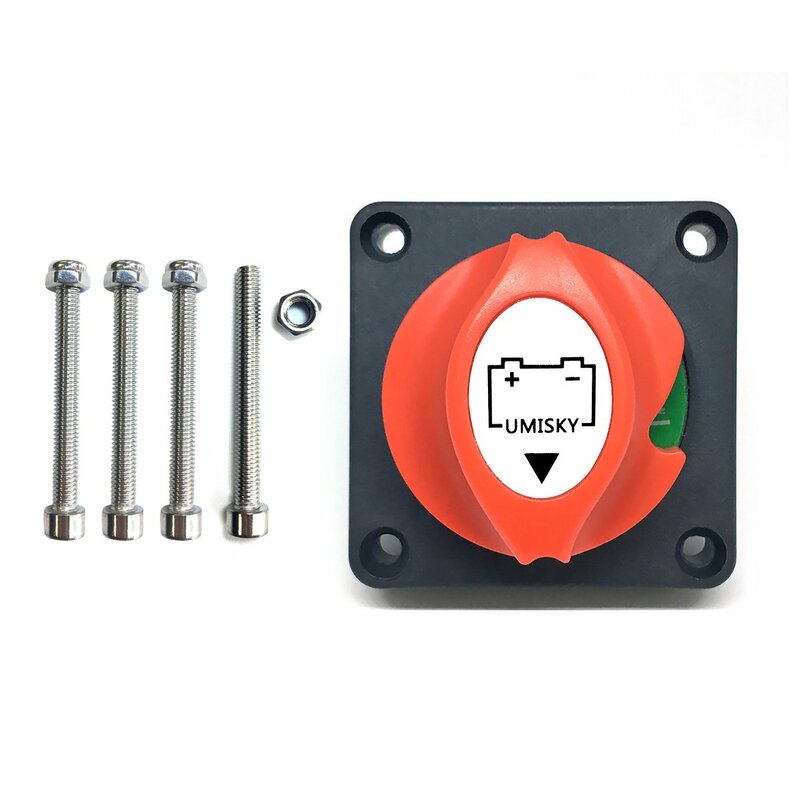 13, Size: 3.0" x 2.7" x 2.7"
4 sets of mounting bolts. 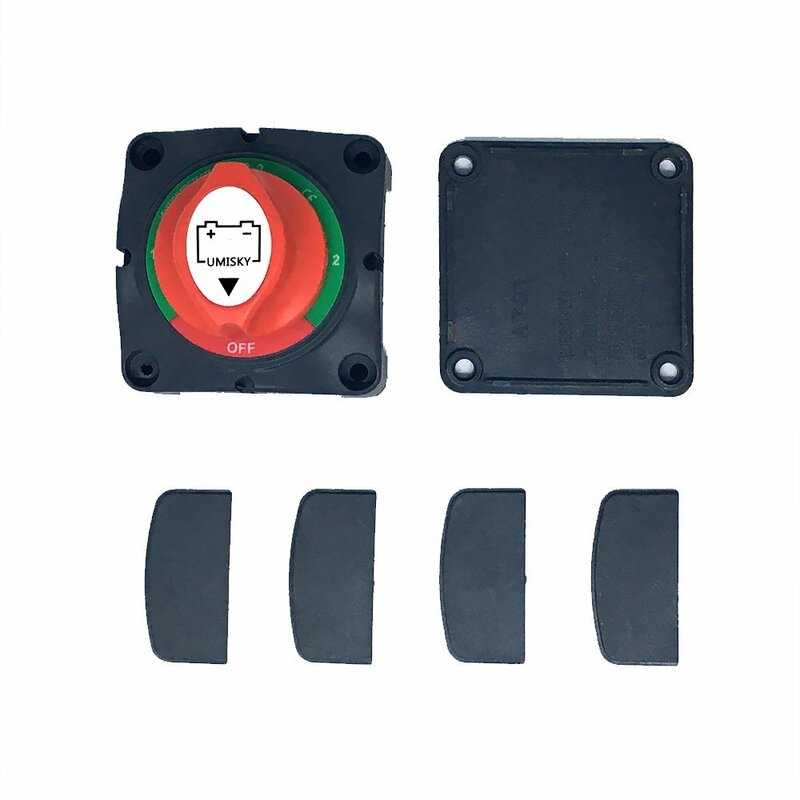 Worry-free 's 2 years warranty.